Today is a rainy, cold, miserable day, and it would be easy to say that it is impossible to try something new on a day like this. After all, I have stayed home in my pyjamas all day with no intention of going out, so how could I possibly try something new? However, not wanting to be thwarted so early on in the game, I was determined to find some new things to do today. 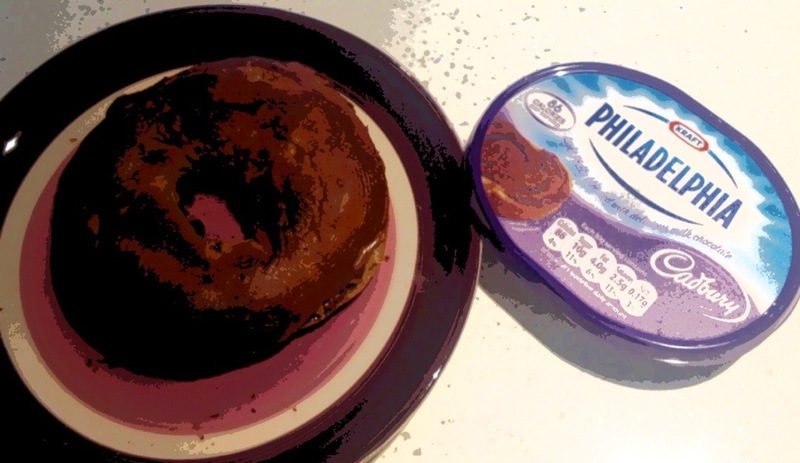 So, for breakfast I had a toasted cinnamon and raisin bagel with Cadbury’s chocolate Philadelphia for the first time. Yum. The Philly melted and it was better than any chocolate spread I’ve ever tried. Healthier too, I think. Then, I decided to post this blog entirely with my iPad. I’ve written blogs on my iPad before, but usually use photos I have already uploaded to Flickr. This time I took the photo above with my iPad, edited the photo with the Photoshop Express app, and then wrote this post using the iPad WordPress app. It takes a while to get used to what you can and can’t do when blogging with an iPad, but overall I’m still marvelling at the technology! Today’s new things are little things, but I feel good for being able to try something new today without leaving the house or spending any money. I hope I can mange to keep this up during the week!